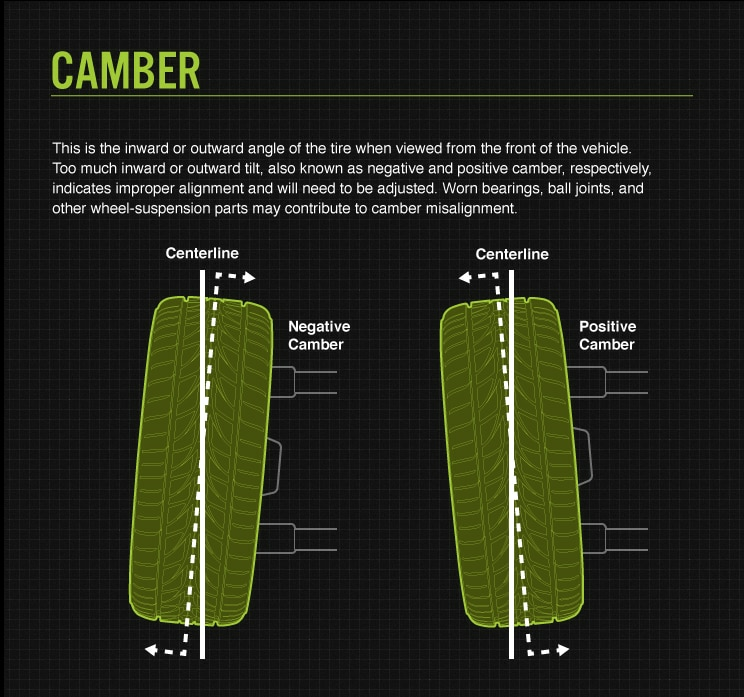 Now distinct from camber alignment, toe alignment is the extent to which your tires turn inward or outward when viewed from above. If that’s confusing, just stand up and look down at your feet. Angle them inward toward the center of your body. 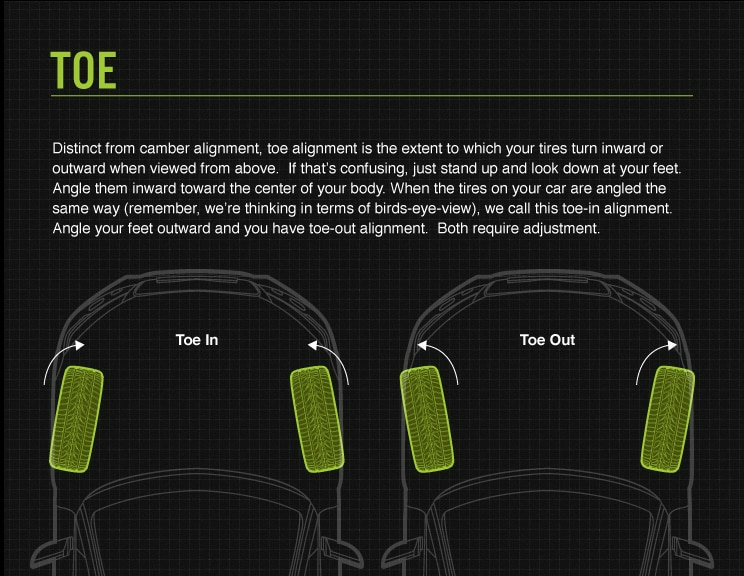 When the tires on your car are angled the same way (remember, we’re thinking in terms of birds-eye-view), we call this toe-in alignment. Angle your feet outward and you have toe-out alignment. Both require adjustment. 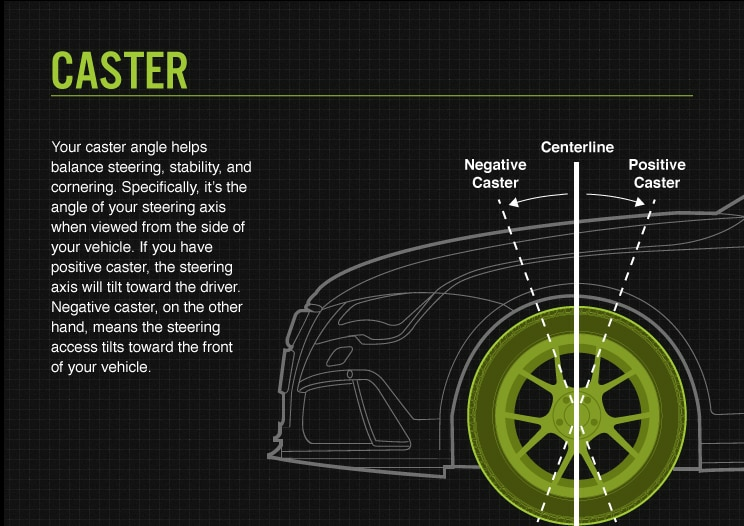 Caster angle helps balance steering, stability, and cornering. Specifically, it’s the angle of your steering axis when viewed from the side of your vehicle. If you have positive caster, the steering axis will tilt toward the driver. Negative caster, on the other hand, means the steering axis tilts toward the front of your vehicle.